The last wedding of the year just behind me, I want to use one of my favorite images to touch again on the recent topic of high-ISO bounce flash with on-camera speedlight. I want to show that the results aren’t a fluke – but that with a consistent approach to bounce flash photography, you can get consistent results. However, since we shoot under various scenario changes, we have to adapt a bit. The venue was this hotel reception room with massively high ceilings … but with the walls closer by. Easy enough to bounce on-camera flash off. The one challenge here were the huge mirrors along the walls. This caused unpredictable reflections. It also flattened the light too much when shooting towards the shorter width of the room. So I ended up shooting as much as I could towards the longer end of the reception room. Yes, the photo above was lit with a single on-camera bounce flash, shooting at a high ISO. on-camera bounce flash, full power in manual mode. This photo above with no flash, shows the ambient light levels at those settings. There’s just no chance to pull something coherent out of that with any consistency. It would need additional lighting of some kind. 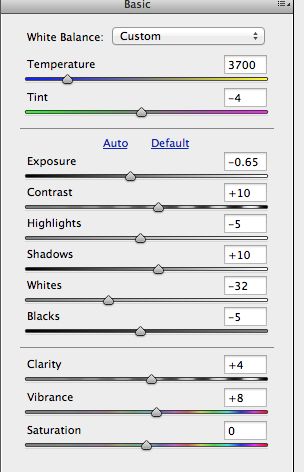 This is the screen capture of what the image looked like at default settings in ACR / Lightroom. The areas covered by the Local Adjustment brush. On the left, the overall adjustments for the entire image. Note that the mirror really affected the overall exposure, and I had to bring that down first. On the right, the settings for the Local Adjustment brush. Note that the white balance was adjusted. and the exposure brought down even more for that middle section. The rescued image. It can still be finessed further, but this is a solid start to take this image to the proofing stage. An essential part of my gear in using flash like this, is a battery pack. 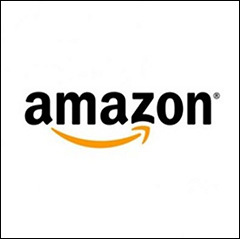 It ensures that the flash recycles fast enough that the following exposure will be good too. Meaning, I don’t have to wait those extra few seconds between frames. In that way, the battery pack actually helps with getting to correct flash exposure. Not because it actually improves the exposure accuracy, but because it allows the flash to be refreshed faster and be charged proper for the next image. I would highly recommend a battery pack for any kind of event photography where shorter recycle times are important. If you like learning by seeing best, then this video tutorial will help you with understanding flash photography techniques and concepts. While not quite hands-on, this is as close as we can get to personal instruction. 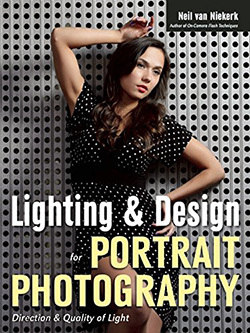 Check out these and other video tutorials and online photography workshops. Why did the white balance change between the “normal” bounce-flash photo and the photo where the flash hit the mirror? I’m a bit unclear about what you mean about the light being flatter when you were shooting oriented toward the longer walls. Are you saying that when shooting in this direction you have to bounce pretty much straight back (on-axis even if higher up) because off-axis walls are too far away to really bounce off of ? Thanks, Neil. Chris … because of the shorter distance to the background, it was too well lit by the single flash on my camera. I lost the colors that you see here in the background. So for the rest of it, I tried as much as possible to shoot towards the “deep” end of the hall. Regarding your question, “Why did the white balance change”… The wall would give off a color cast of the wall color where as the mirror would reflect your flash color with no color cast. I’m with David. Your camera was balanced for the room with your flash bouncing off the walls. The flash hitting the mirror lost the warmth of walls and now you have the cooler skin tones of the speedlight’s color temp. Great use of ISO and full power. I’d say the w/b changed due to the colour of the mirrors perhaps. Nice to see you on here Andrew! I should’ve known you’d be a fan of Neil! What about the distortion on both sides of the image? Is that the nature of that lens? The clientele in my area would never let a photographer live that down – so picky. That spatial distortion is typical of any ultra-wide lens. It doesn’t bother me particularly. For my client, I’d most likely use it as a square crop in an 11×11 album … and then the extreme distortion would be cropped out anyway. Neil, how has been your experience with Nikon Auto ISO? In situations where I had auto ISO enabled and when flash is turned on it sometimes goes down to Base ISO even when my ISO setting is like 3200. It then becomes a 99% flash lit shot. So I had to disable auto ISO but I really prefer it on for fast switch between flash and non flash shots with aperture and shutter parameters fixed. That’s why we don’t use Auto ISO. It’s good in theory, but too hard to make it choose intelligently. 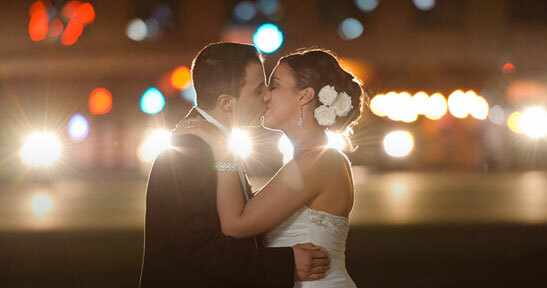 Keep in mind that with flash photography we have two exposures taking place – ambient & flash. Now, in low light, we are depending on the flash to take up the slack and give us correct exposure … for our chosen camera settings. Our settings will dictate how bright the ambient light will appear (to give us context). Then the TTL flash (or manual flash if we set correct output), will give us correct exposure for those settings. It’s a relatively easy juggle that is within our control at all times. Now, if you added Auto ISO, you’re adding one more variable again. This makes the results just a little less predictable. In other words, with the flash giving us correct exposure, we don’t need Auto ISO as much to give us correct exposure – the flash is doing that for us. I’d be interested to know your thought process as to how you decided on your settings of 1/125 @ f3.5 @ 2500 iso. 1. Holy crap! This venue is huge! 2. ugh! 1600 ISO isn’t going to be enough. Let me try bumping up my ISO a bit. 3. After a few test shots at the higher ISO, I find that TTL flash isn’t giving me the consistency I want, so I try manual flash and figure out my flash output for certain directions. I might bump the power up / down a bit. Or change my aperture a click this way, or a click that way. 4. Oh crap … DJ lights that kick in and out. Oh well, let me bump my shutter speed a bit higher. 5. After a few more test shots … coolness! This is going to work. I’m thinking the mirror will reflect the light in a much more direct/hard fashion vs. the wall’s diffused/scattered reflection…and in doing so the reflected mirror bounce will have a hot spot, much brighter area, in the shot and perhaps even blow things out if you’re using manual settings on the flash and have it set for a non-mirrored area of the wall. 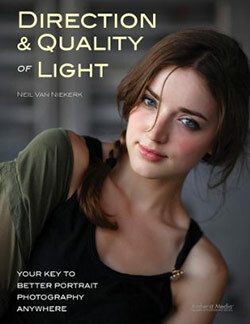 Probably you where not using a gel on your flash, and Why don’t you use a lower shutter speed ? And freeze the action with flash. I think it is because of the lights in the venue. They are continuous, so it will be blurry at 1/50, but not at 1/125. Of course the parts lit by flash would be sharp, but not that parts lit by these continuous lights. You are correct – I didn’t gel my flash in this instance. The walls added enough color to my flash so that I didn’t need to gel my flash any further for the warmer tones there. Flash may or may not freeze the action. There are variables. Check that article. 2. I wanted the background slightly darker, as in the photo at the top. 3. I didn’t need to completely drag my shutter to bring in the background, since my bounce flash was taking care of that. You write that you are shooting your speedlight at full power. Does the external battery pack help to cut down on the heat in the flash? 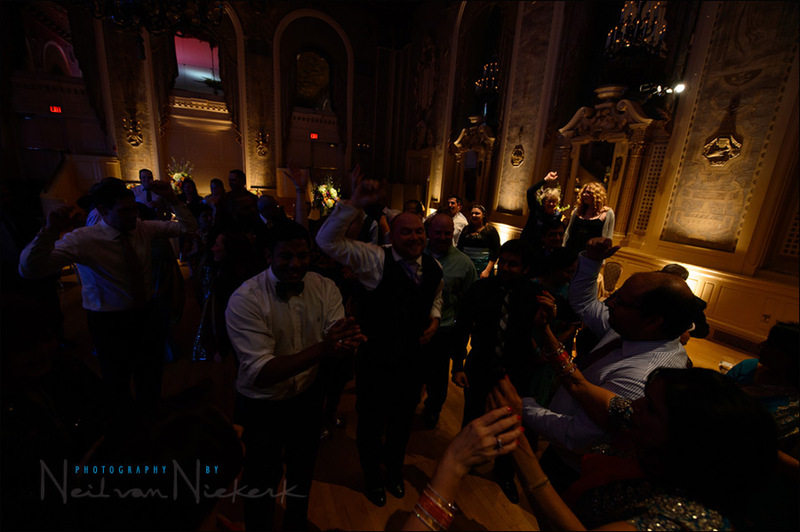 When I shoot like this (fast paced during dancing and important moments) I typically overheat pretty fast, so much that I keep a second speedlight (SB-900) in my shoulder bag and I switch back and forth. 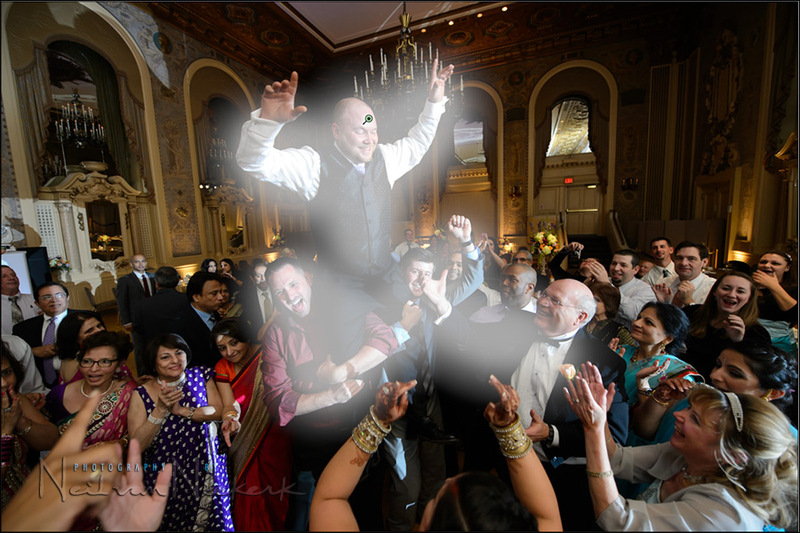 Overheating flash is my nemesis in wedding reception photography, even at high ISO. 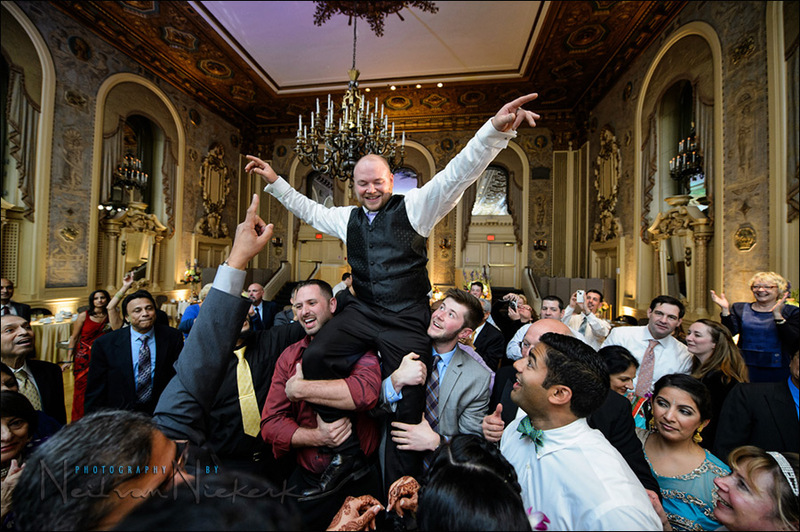 I shoot a lot of frames (not absurdly so – around 1800 per wedding) but that’s what I seem to need to do to really nail the best moments during a reception. Thoughts? Neil, why did you not bounce in TTL? In theory, TTL should follow and give proper exposure … but I’ve found that with (Nikon) TTL, the camera is hesitant to dump full power and will tend to under-expose when what I really need is a lot of juice. Also, with this specific sequence, I’m kneeling on the floor close to the B&G’s table. My position is static as is the direction I bounce in … so I might as well keep to manual flash for consistency. But really, this was done to make sure I get max juice from my flash. Neil explains why he didn’t bounce in TTL in part 1 of this article, comment 27. Basically he wanted to ensure his flash was firing at maximum output, which TTL will not necessarily give. Thank you Neil! I have always found your blog full of very specific, helpful and accessible information and this blog post is no different. 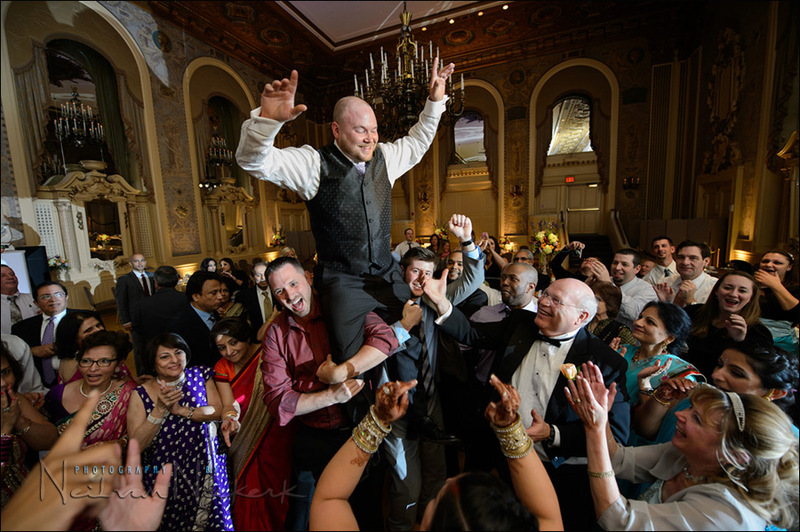 I photograph weddings as well and the tips you provided about the battery packs to quickly refresh your flash is very valuable. Just a quick question, if you are capturing your photographs during the wedding at ISO 2500, do you find that you are spending more time in post processing reducing the noise in the photo? Currently I am shooting with a Canon 6D and , although the noise level is acceptable at 1600, if I shoot at 2500 I have to do a lot more processing to bring the noise down? Maybe I’m being too fussy? What are your thoughts? I don’t spend any particular time on processing the images because of higher ISO settings. 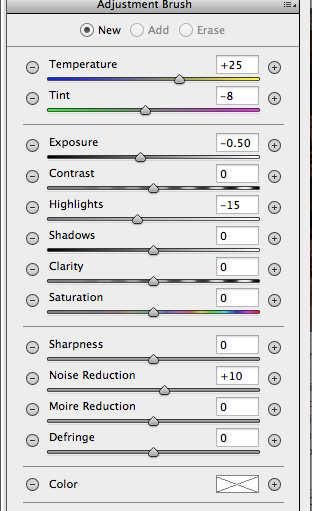 In Lightroom / ACR, you can select groups of images and push up the Noise Reduction in one shot. I have the 6D as well, and I like how it renders 1600 ISO. I haven’t shot higher with that, since I mostly use it in the studio … but I think if you don’t under-expose, that 2500 ISO should look pretty decent. Also, make a print at that ISO and see what you feel about it since prints display noise differently than we see at 100% on our computer screens. I’ve been a faithful reader of your website for a couple of years and really appreciate all the tips and the incredible knowledge I’ve acquired thanks to you ! I’ve taken photographies for the 60th bithday of a colleague in a renovated barnyard with nice walls made of old grey stones, white plaster on the ceiling, nice exposed beams and many spots as well as a laser on a ball at the ceiling. To put it briefly the real nightmare regarding the mix of light sources ! My colleague was singing for a part of the event as he’s a member of a small band interpreting songs which are a tribute to Dr Feelgood. The room was about 30m long and 10m wide, and I didn’t have much room to move around the band and avoid all the guests (more than 90) with their Smartphones. I tried to bounce my flashs from the ceiling just a little bit behind me or constantly adjusting the flash head position (2 x SB900) depending on my position, but the problem is that even though I was juggling with my D3 fitted with a f2.8 24-70mm and my D7000 fitted with my faithfull f2.8 35-70mm or a f2.8 70-210 VRI, it was really hard to keep the pace ! Obviously, even though I tried to change as fat as I could the FEC or EC, sometimes I’ve fogotten to readjust the settings, and a 1/4 of my photos were partly overexposed (1 to 3 EV on average) due to the predominance of the white ceiling I was bouncing the light off. I had unfortunately forgotten to use your “black foamie thing” but I’m not quite sure it would have made a difference ! I managed to recover some through NX2 Capture, but what’s your advice in this kind of situation, I mean when you cannot finetune your exposure just like in a studio or a couple of photos ? Thks again for your exciting sites from FRANCE ! First of all – the Black Foamie Thing wouldn’t have made a difference here. It is used for directional bounce flash. It doesn’t really do much for uncontrolled scenarios like that. 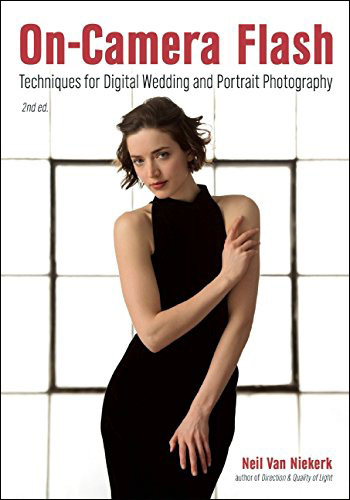 When shooting in a difficult place – and I can off-hand think of a local wedding venue here in NJ which has mirrored walls – then I accept I have to shoot more, and rely on the latitude of the RAW file to adjust essential images which have problems with exposure or weird lighting. I accept then that not everything is going to work. 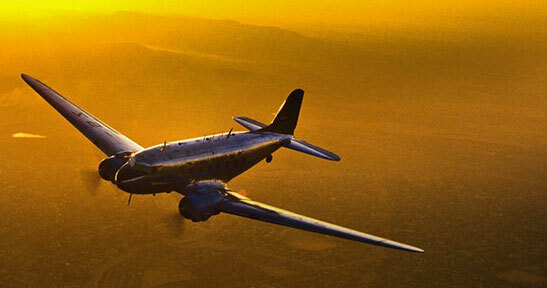 And that ultimately the client needs a great selection of images – and that’s the end target that I’m aiming for. I find that in some (non-static) situations, I often overexpose a subject walking towards my direction when using manual flash exposure. How do I efficiently manage this? I ended up bouncing my flash over my shoulder to approximate a consistent distance, but I must say I did wonder if TTL would have been better. What would your preference be, and why? As always, many thanks for your valuable flash photography advice. Manual flash, if pointed forward and not bounced behind you, will do exactly that. Manual flash exposure is dependent on the distance to your subject. With direct flash, that distance is easily affected by your subject moving. 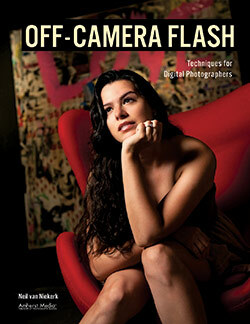 Hence, TTL flash is often easier to use, since the technology helps do some of the work for you. TTL flash vs manual flash. Also make sure that you understand how the inverse square law affects bounce flash. Hi Neil, thanks for another great article! an additional flash unit in this venue? Looking at the image which I think is great….you don’t think another unit in the corner would add a nice kick…..was this just your personal preference or was there a reason why you didn’t? I’m not a fan of random bright hot-spots in the background. The alternate is, that I’d have to make sure I only shoot in specific directions to avoid those hot-spots. Shooting this way, with on-camera bounce flash, I have more mobility. For me, the additional lighting should also be least intrusive or obvious as possible. I want to retain some of the mood of the place. Additional off-camera flashes become its own thing then, looking less like the existing lighting. It’s a balance between making sure you get the images, and get them consistently, and retaining some of the mood of the place. Why are 2 speedlites mentioned below the picture. You’re using both to get this photo? 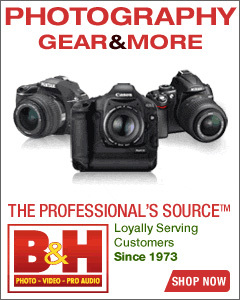 Throughout this website, I list alternates to the equipment I used – usually a Nikon / Canon equivalent. As mentioned in this article, I just used one speedlight.